If you play A Link to the Past DX on an emulator without this patch, the streamed music volume is likely to be a lot louder than it should be. This patch reduces the volume to an appropriate level. It is based on the volume_decrease.ips included with Conn’s alttp_msu1.ips (http://www.zeldix.net/t453-enable-msu-streaming-music-for-alttp), but adapted to work for A Link to the Past DX (http://www.romhacking.net/hacks/2234/). 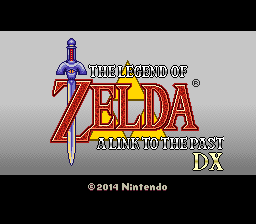 Make sure that you first apply loz3-dx_v1.2.ips before applying this patch. This patch is no longer necessary, and should not be used. The SD2SNES firmware v1.7 now plays back MSU-1 audio at the same (or at least very close) volume level as higan. The patch is poorly named, it was never a problem with emulators, it was a firmware issue with the SD2SNES. This has led to something of a split between track packs recorded at higan volume levels and track packs recorded at the old SD2SNES volume levels, which is far from ideal. Now that it’s fixed on the SD2SNES, there is no more need for this. If the MSU-1 audio is too loud in higan, contact the person who created the track pack and ask them to adjust the volume level, and then it will work correctly for both emulators and hardware.